Multi-purpose 100% pure Shea butter for use on body, hands, face, lips and hair. For very dry skin. Intensely moisturising and very long lasting, one lightweight pot will sort you out for body lotion, lip balm, hand cream, foot balm, and you can even use it to fight the frizz on the tips of very dry hair. 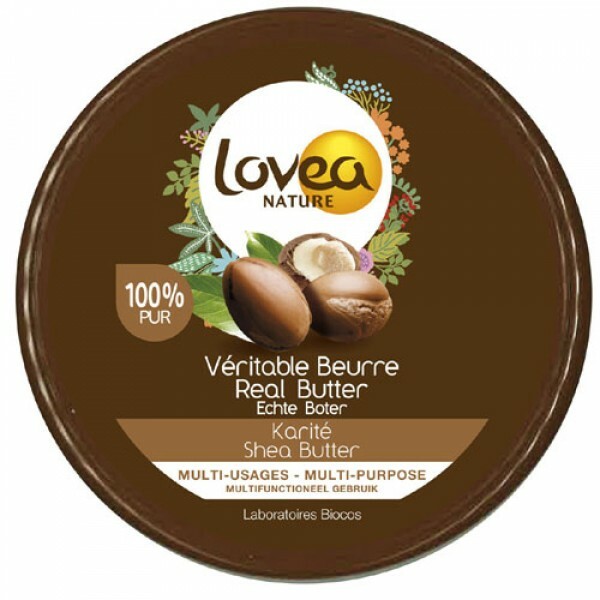 Lovea pure shea butter is naturally rich in vitamins A, K, E & F and this formula is further enriched with vitamin E.
It nourishes and intensely moisturises very dry skin and is ideal for use on face and body. Soften a knob of butter by rubbing between your hands before applying. Also available in an extra value 150ml tub. Lovea Shea Butter is 100% natural but it was not grown organically. 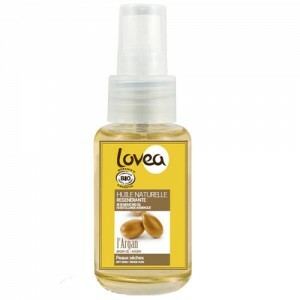 Lovea Bio is a French brand, all of the products are suitable for vegetarians and many are vegan too. Once opened we recommend the butter is stored away from direct sunshine and heat sources. 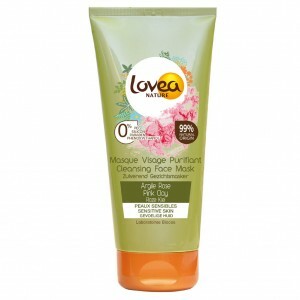 Best applied to moist skin straight after cleansing, bathing or showering. Add a few drops to your favourite moisturiser for an extra moisturising boost. Avoid contact with the eyes.